The Sparkling Van is 3-wheeled vintage Piaggio. Ape from Italy that has served as a delivery truck for most of its life. 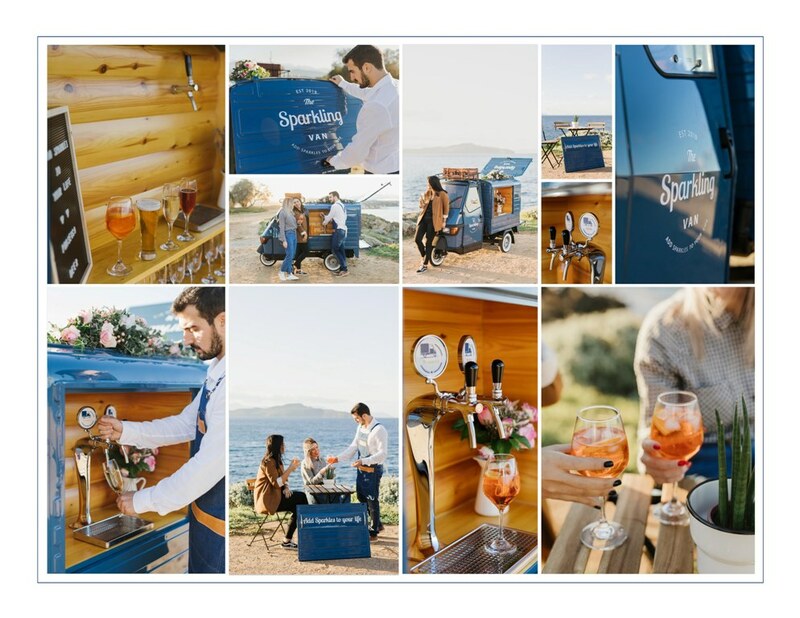 It made its way from Pisa to Crete and was eager to get custom designed into a beautiful mobile Prosecco Bar.